All the discussion about rocks on GS lately gave me an idea. 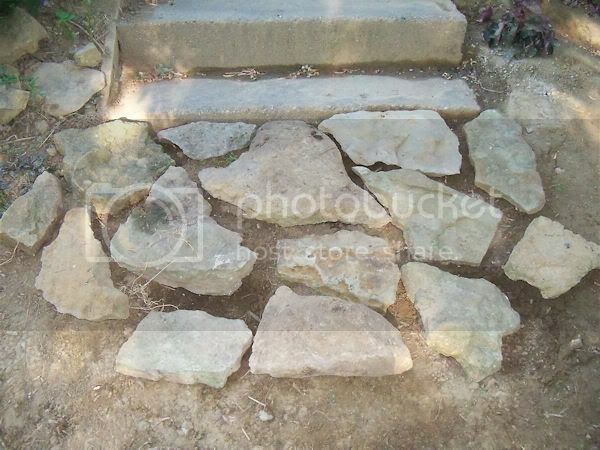 I really wanted a landing at the bottom of the concrete stairs by the retaining wall, but I needed it to be free, using materials I already had on hand. I have piles of rocks, some pretty flat. So, I picked through the rocks and played jigsaw puzzle. 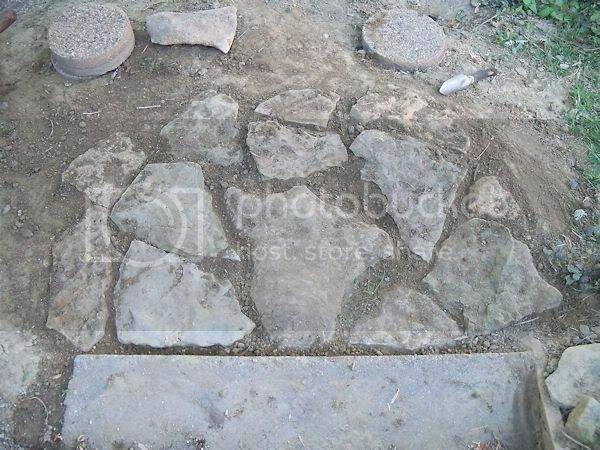 Then I traced around each rock one at a time with my spade, and dug out a hole for each rock. We have the type of soil where you can do that and it just works as long as you don't need something perfectly level (like a patio). 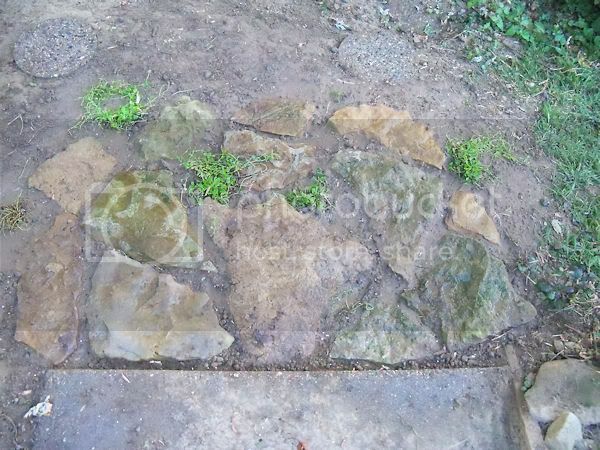 The eventual goal is to have ground cover between the rocks. I started with some of my $.50 perennials (mazus). Not sure this will be what I really want here, a sedum would be much easier. PL--I think it looks great. I personally really like the look of rocks in the landscape, and have been known to cart flat rocks home while on vacation! Your landing looks great. Would you consider using thyme between the rocks? Yes I would consider thyme, except it doesn't seem to like it here, mine always dies. May be too shady?